Problem: Cardiovascular Disease (CVD) poses significant health risks for seniors, with two thirds of those aged 60 to 79, and approximately 85% of those 80 and over having one or more form of CVD. Blood pressure is one of the major modifiable risk factors for cardiovascular morbidity and mortality, with even moderate reductions playing a major role in preventing cardiovascular events. Recent studies conducted with the Carter Burden Network (CBN) senior population have shown high rates of uncontrolled blood pressure and other CVD risk factors. Project: CBN, in partnership with The Rockefeller University and Clinical Directors Network, will address seniors’ cardiovascular risk through implementation of a dietary intervention at two of its senior centers - the Leonard Covello Senior Program in East Harlem and the Carter Burden Luncheon Club on the Upper East Side. 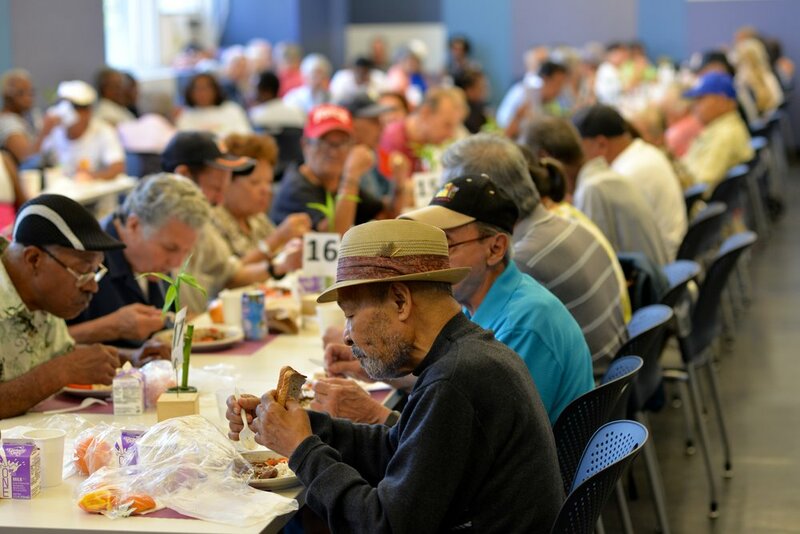 Senior centers serve as critical resource hubs for seniors, offering a spectrum of health, nutritional, social service, and recreational programming. The project will implement the National Heart, Lung, and Blood Institute’s (NHLBI’s) DASH (Dietary Approaches to Stop Hypertension) diet through meals provided at senior centers and study the impact of this intervention on blood pressure control. The DASH diet has been tested by two major studies backed by the National Institutes of Health (NIH), demonstrating ability to lower blood pressure in as little as 14 days. The diet is plant-focused – rich in fruits, vegetables, and nuts, with supplementary inclusion of non-fat and low-fat dairy products, whole grains, poultry, fish, lean meats, and heart healthy fats. Breakfast and lunch menus at Covello and lunch menus at the Luncheon Club will be adjusted to be DASH- compliant, while respecting the cultural and taste preferences of clients. The project will also offer educational workshops on blood pressure, nutrition, and exercise, and their relation to cardiovascular health. Nutrition demonstrations with ingredients from the farmers market and food pantry will show seniors how to maintain the DASH diet at home within their budget. We hope to recruit 200 participants, all of whom will receive Bluetooth-enabled home blood pressure monitoring kits. They will be trained on how to use the devices and encouraged to share home readings with their clinicians, improving self-monitoring, self-efficacy, and healthcare engagement. Evaluation: Through monitoring and data collection at the centers at a number of intervals, CBN and partners will measure changes in blood pressure, weight, nutritional and behavioral changes, and self-efficacy in health management of participants. Supported in part by grant # UL1TR001866 from the National Center for Advancing Translational Sciences (NCATS), National Institutes of Health (NIH) Clinical and Translational Science Award (CTSA) program.